A major challenge for students is not content but how to “do math” which includes perseverance. 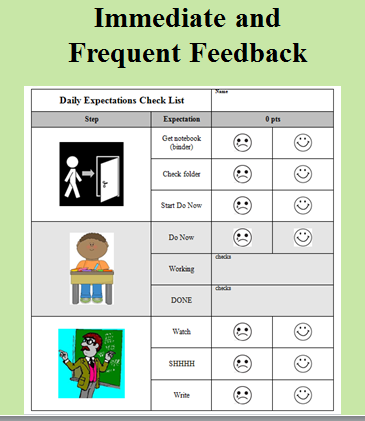 The photo above shows a table that can be used to monitor progress on perseverance. It addresses two situations involving perseverance (see below). The focus of perseverance in math is making an informed attempt when a path or next step is unclear (and does not necessarily result in a solution). Paths can be categorized as using a strategy, e.g. drawing a picture, or following an algorithm, e.g. steps to solve an equation. (See excerpt of CCSS Standards of Mathematical Practices below). 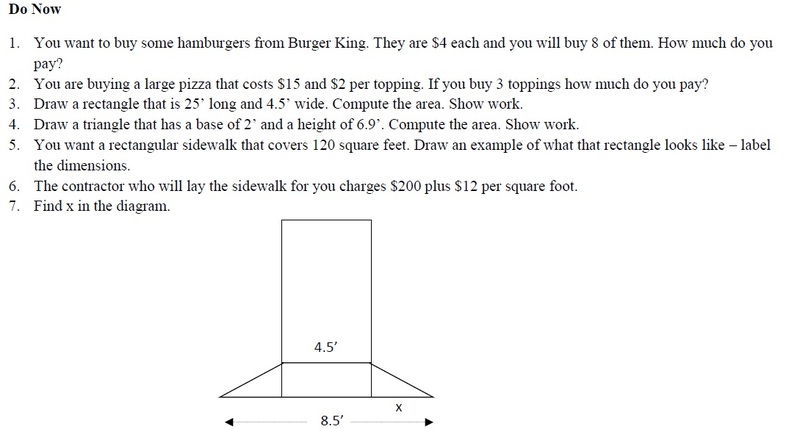 This is the figure from Mrs. Olsen’s Sidewalk Problem from the CT CAPT test 2010 (released to public). 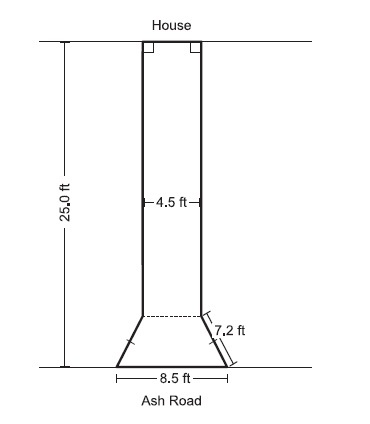 The problem has four major steps: divide the figure into common shapes, use Pythagorean Theorem to find height of the resulting triangles, find area of these shapes and compute total cost for pouring the asphalt for the sidewalk. Simply finding an entry point into this problem is a major challenge as is keeping track of the multiple steps. 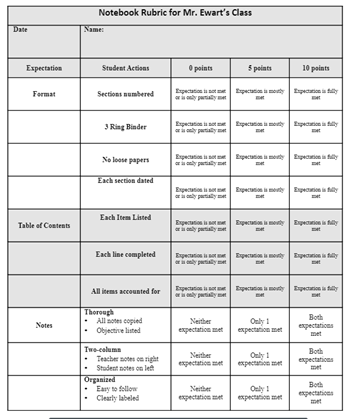 Below are photos of the handouts I use to break the problem down into parts – scaffolding. Eventually the students have to learn to find an entry point and navigate the steps on their own. They learn to do this incrementally with the teacher shaping the problem-solving skills. 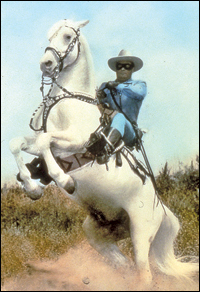 In leadership class I studied the Lone Ranger approach to problem-solving. 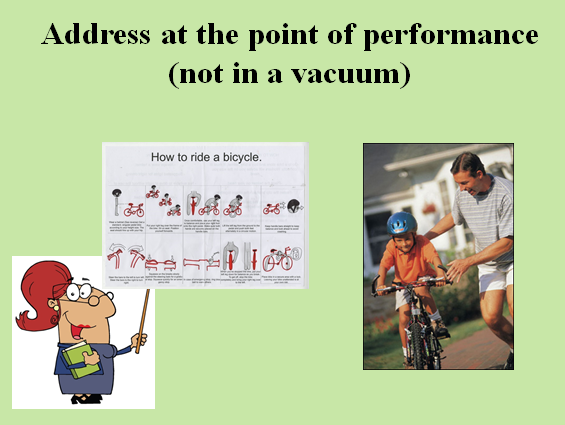 When a problem arose in an organization the boss would ride in and solve the problem. Afterwards he or she would ride off and the employees would be no better prepared for the next crisis or problem. The point of the analogy is empowerment – get the individuals to take responsibility for problem-solving. The same holds true for the relationship between educators and students. All too often educators jump in to solve problems for the students without training students on responsibility. The students are not empowered or held responsible. 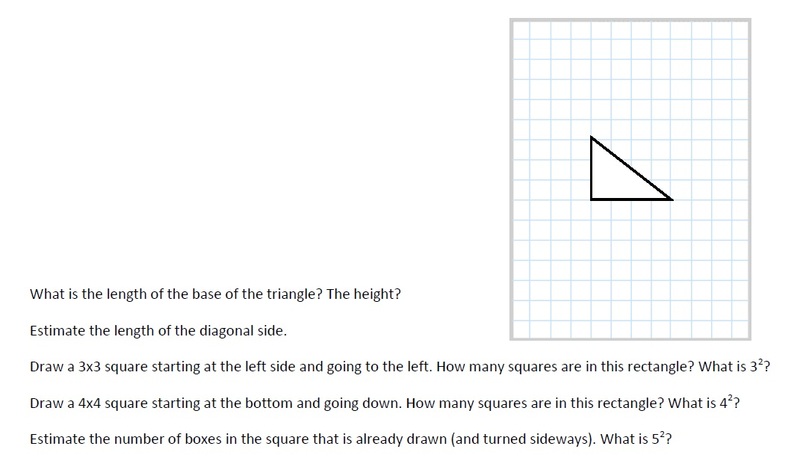 This problem is magnified for students with special needs. The most common example occurs during meetings with parents. When a student struggles the first suggestion is often asking teachers if there is additional time available to tutor or help the student individually (parents are not the only ones asking this). The original problem of poor self-help skills is not addressed and the adults shoulder more of the responsibility. As a consequence, the students’ belief that external forces will or are necessary to fix their problems is reinforced. My suggestion is to look at how the student can be supported as he or she is trained to be more effective in employing self-help skills. Is he taking notes? Is she doing all of her homework? Do the students follow examples in the book or use other resources? The following are anecdotes of how learned helplessness is developed. A student was having problems with a math problem. The para asked if he needed a calculator and walked over to get one for the student. A student had notebook organization as the focus of an IEP objective. Each week his PARA was organizing his notebooks for him. 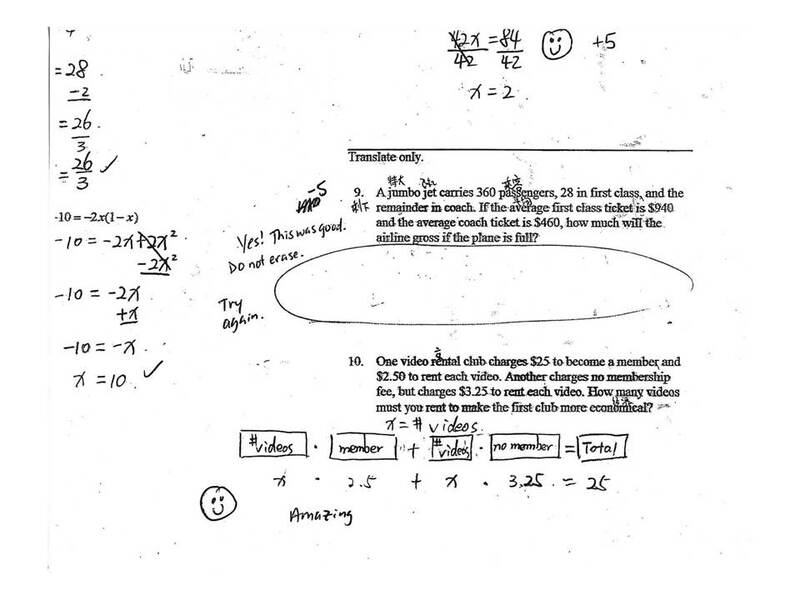 A special ed teacher started to copy a homework assignment for a student because he didn’t have a pencil. Many math teachers, when asked for help, will show students how to do a problem instead of pressing the student to find and follow an example. The evidence is clear. Students learn to say “I don’t know” and the adults show them what to do as the students passively observe.